Modernes Loft über drei Stockwerke mit zwei privaten Terrassen. Dieses befindet sich nur wenige Meter von der Kathedrale entfernt. Untere Etage: Wohnbereich mit Doppel-Schlafsofa, Flachbildfernseher und Esstisch. Doppelt-verglaste Türen öffnen zu einer kleinen Terrasse mit herrlicher Aussicht auf das Stadtzentrum. Angrenzend an das Wohnzimmer befindet sich eine offene Küchenzeile und ein Badezimmer mit Dusche. 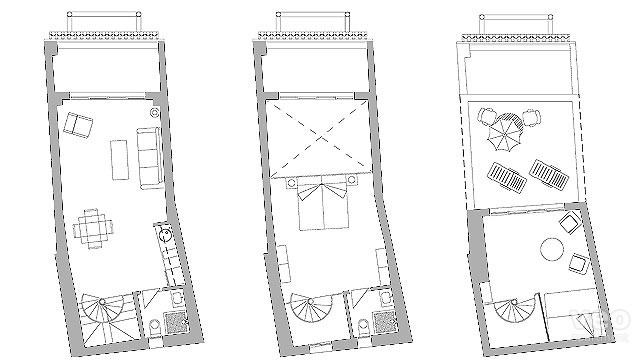 Zweite Etage: Schlafzimmer mit zwei zusammengestellten Einzelbetten, Kleiderschrank und einem privaten Badezimmer. Dritte Etage: ein weiteres Schlafzimmer mit 2 Einzelbetten, das über das erste Schlafzimmer zu erreichen ist. Schiebetüren öffnen auf eine grosse private Terrasse mit Gartenmöbeln: Tisch, Stühle und Liegestühle. Das Gebäude verfügt über einen Fahrstuhl bis zur 6. Etage, wo sich das Apartment befindet. Die drei Ebenen des Duplex-Apartments sind über Wendeltreppen verbunden. Overall we were pleased with our stay. The location was excellent and the apartment was very clean. El apartamento tiene una ubicación excelente, es confortable y cómodo. Ultra bien placé, confortable (les lits sont parfaits, c'est rare dans une location à Séville), terrasses super MAIS mauvaise insonorisation, douches minuscules (mais il y en a deux !) et surtout, clim réversible insuffisante pour chauffer le rez-de-chaussée de l'appartement : en hiver il fait froid !!! Malgré cela, on recommande chaudement, une loc parfaite pour deux ou pour un couple avec enfants. IDEAL location! 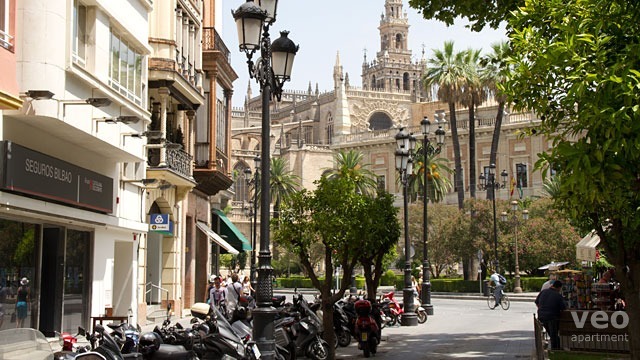 our daughter is in school for a study abroad programme in Seville. we used this place as our base for several trips to cadiz, granada and rhonda. right by the cathedral , the location is unbeatable. the place is clean ( even if the spiral staircase can be initially daunting -- no worries ) and the terraces are an added bonus. the tapas place next door --Bodequita ( apologize for the spelling ) Casablanca is EXCELLENT!!! do use this place as an added asset to the property. 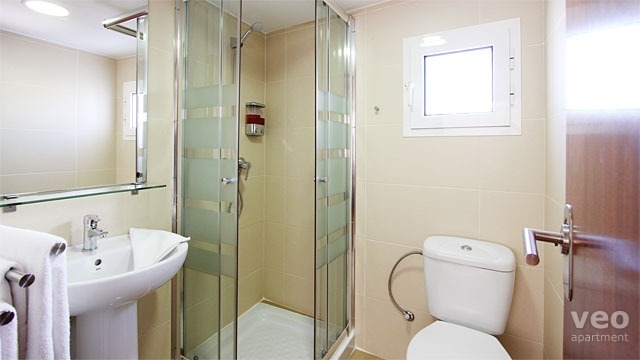 "Nice apartment in the very centre of the city." 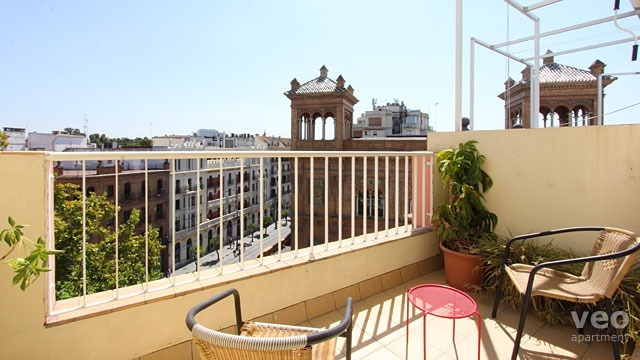 "Beautiful apartment in the middle of beautiful Seville "
The apartment was very nice and clean and perfectly situated next to the cathedral and Real Alcazar. 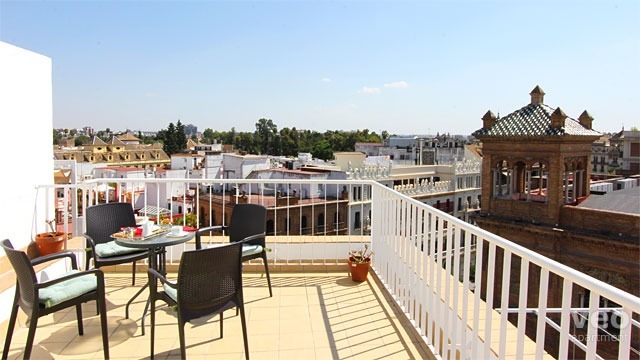 The apartment has two terraces from where you can enjoy breakfast while overlooking city life below. We were traveling with our two young children and they liked everything about the apartment too. 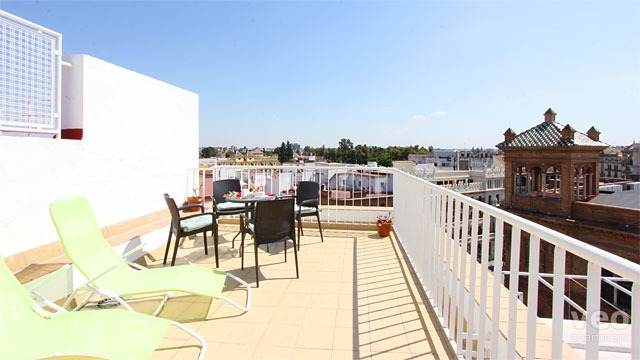 "Very central location with an outdoor terrace to relax"
A very central apartment which was very clean. The outdoor terrace meant we could sit in the sun and watch the world go by. Appartement très joli, curieux, deux terrasses exceptionnelles. Un petit bémol : les deux salles d'eau sont un peu minuscules, et il n'y a pas d'intimité possible entre les deux ou trois lieux de couchages, tout communique, bien que la disposition soit charmante et que l'appartement soit meublé avec goût. Nous avons tout de même adoré ! 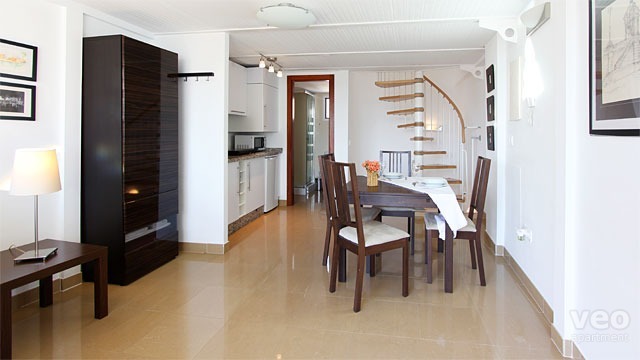 "Perfectly located and equipped apartment. " We had a great stay in this apartment. It was spacious enough for our family of five. 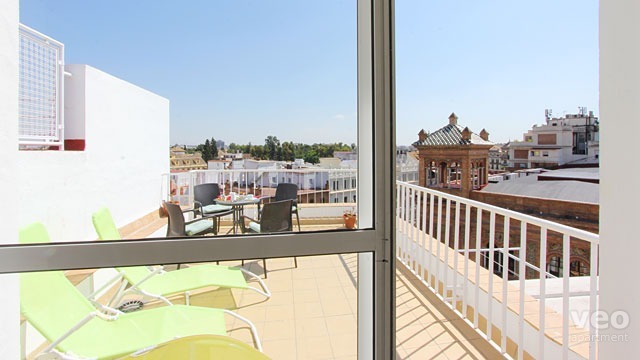 We loved the location, right in the heart of Seville. 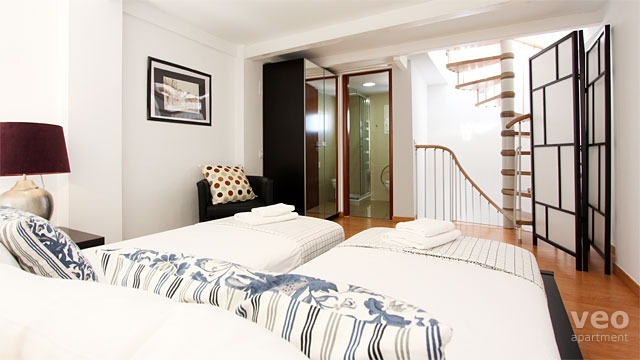 Very good - Daniel was very helpful, could communicate well in English, and made the stay very easy. "Appartement très sympa et parfaiement bien placé"
Ce serait parfait si la cuisine était plus pratique. Mais sinon, la baie vitrée haute de 2 étages est impressionnante ! "Wunderschöne Wohnung in optimaler Lage"
Die Etagen in der Wohnung sind über zwei sehr enge Wendeltreppen verbunden, so dass sie sich nicht für alte oder etwas gehbehinderte Menschen eignet. Estupendo el apartamento, la ubicación, la persona encargada de las llaves, todo en general. Creo que la publicidad en fotos, videos etc, es bastante real y el acceso a la página y a ustedes es inmejorable, volveré a contactar con ustedes en mis próximos viajes. Estamos muy satisfechos por el servicio. Gracias. "Muy bien situado pero incómodo por las escaleras interiores"
Está muy bien situado, bastante nuevo y cuidado pero tiene el inconveniente de tener demasiadas escaleras interiores y además superestrechas. El último piso no tiene baño por lo que tienes que bajar al primer piso o a la planta baja para hacer uso de él. 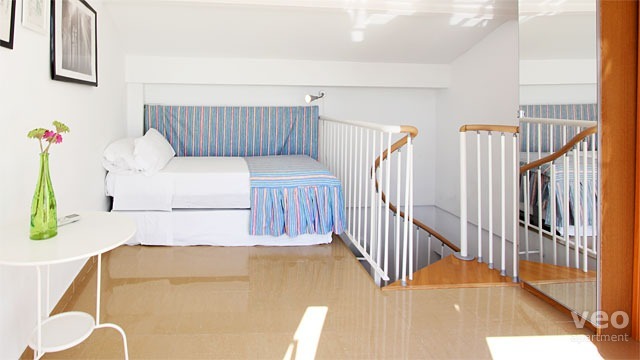 "Awesome location, great host -- ideal for up to 4!" Had a great stay at Constitucion 7. 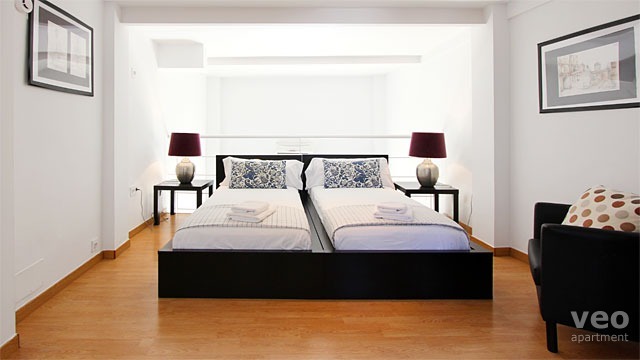 Its an awesome location, the host was very helpful and friendly. We were a group of 6 which is definitely over-crowding the unit The steep and narrow spiral also a little difficult for small children and large suitcases. The location is beautiful and the view from the terrace (especially at night) is breathtaking. 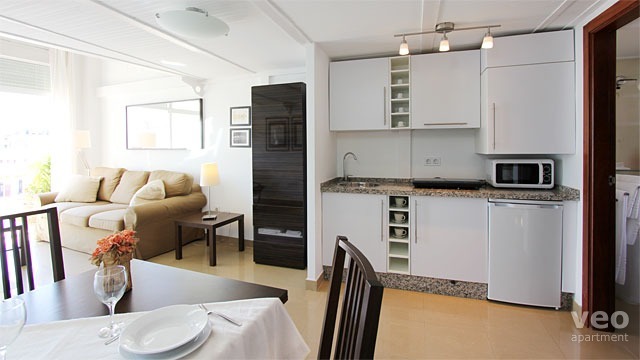 We strongly recommend this charming unit for groups of four or less -- given the location its superb value for money. 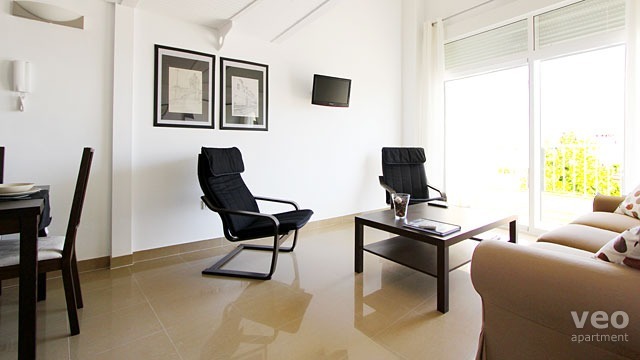 "Wonderful service and great accommodations. Would go back!" Perfect apt. For multiple travelers.